HTTP Compression saves bandwidth usage and may speed up a Website loading time by reducing the amount of data sent. The user requests a Web page, then the server compresses the page and transfers it to the user´s browser. On the user´s side, the file is being decompressed and visualized. Compression algorithms trade time for space by pre-processing files to create a smaller version. Compressed files are then decompressed to reconstruct the original. The compression process includes two components: encoding and decoding. Encoding compresses the data, while decoding decompresses the data, usually at a faster rate. The cost of compression is certainly not zero, it does take a little CPU to do the compression, but the result is that your Web server is handling significantly less data. All modern browsers support compressed content. OR add the code in the .htaccess file. To compress your Website files on the server, you will need to log in to your cPanel account and then under "Software/Services" click on "Optimize Website". This will allow you to compress the content before sending it to the user´s browser. 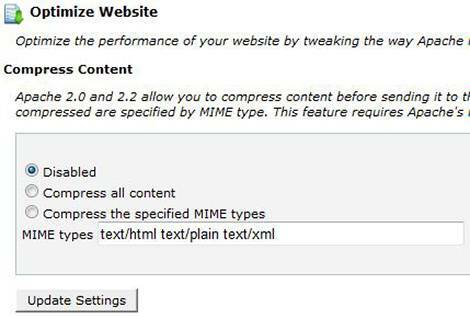 The types of content to be compressed are specified by MIME type on that page. I want to emphasize that these are general guidelines and they might not work for your specific Web server, or your Web host company might have a different control panel. Your two options for file compression are Deflate and Gzip. Deflate is an option which is built in with the Apache server and is simple to set up but less reliable than mod_gzip. Gzip on the other hand is an external module that requires a more work to install. 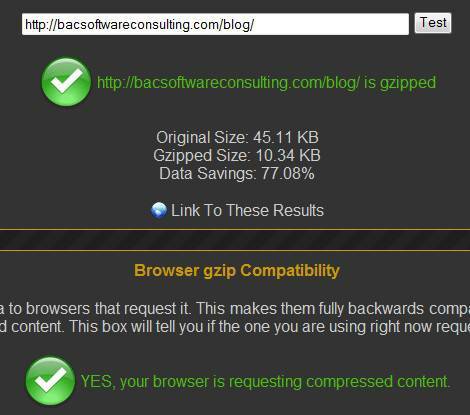 However, gzip does achieve a higher compression rate and therefore might be a better choice if your Website has large file sizes. The .htaccess is the Apache´s directory-level configuration invisible file that allows you to manipulate the behavior of the Web server. The .htaccess can contain all kinds of directives for the Apache server. To create an .htaccess file, open any text editor like Notepad or Notepad++, name it .htaccess (there is no extension). If you already have an .htaccess file on your server, download it to your computer and edit it with your favorite text editor. Once you are done with your changes, upload the .htaccess to the root directory of your Website. Besides the cPanel, and since mod_gzip is not an Apache native but an external module, I only know of one way how to implement gzip compression: by using PHP code to return compressed content. If your Website is dynamic with .php extension, then include the following code in the header of every page. This code is dependent on the mod_gzip module already installed on your Apache server. ob_start("ob_gzhandler"); //return a gzipped version. ob_start(); //do nothing, return regular version. If you know another way to integrate mod_gzip compression, please add it in the comment section. If your Website is running on a Windows server, the only way, that I know of, setting up the HTTP compression on IIS servers is by asking your Web host customer support. 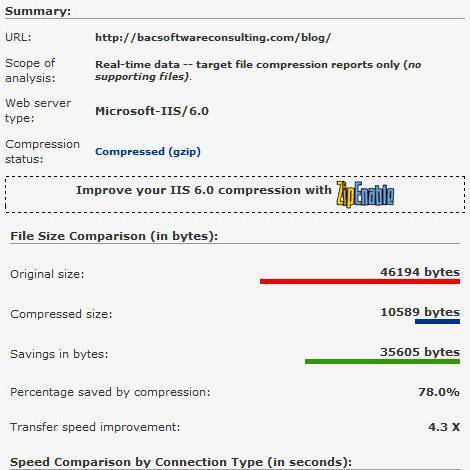 For more information about enabling compression for IIS7 or for IIS6. The images above show, when compression is implemented, a significant reduction in file size and thus reduction in bandwidth. But does that translate to a faster Website load time? The next sections will show that compression did not improve this Blog´s download time. The following table shows Yahoo! Yslow and Google Page Speed results before and after compression has been applied to this Blog. Does HTTP Compression Speed up Your Website? 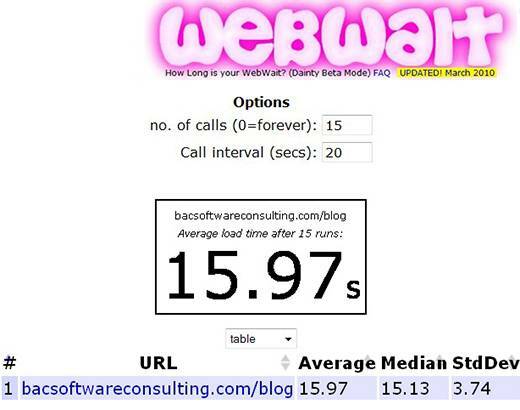 Webwait – Baseline test results. My Blog download speed BEFORE compression. 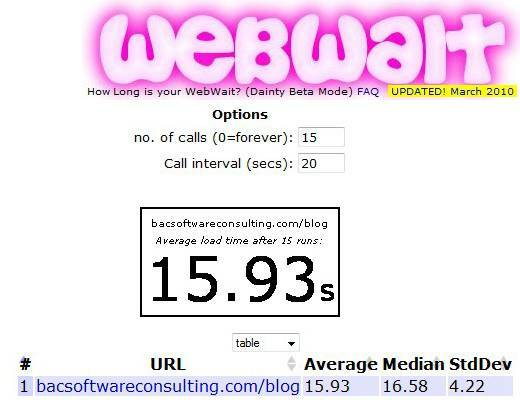 Webwait – Test results. My Blog´s download speed AFTER compression. 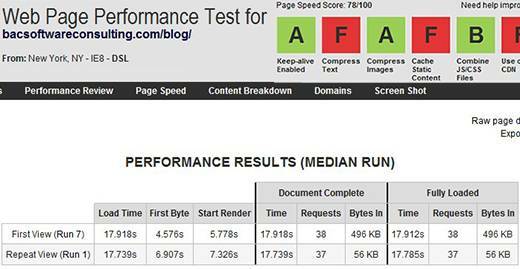 WebPagetest Complete Data – Baseline test results. My Blog´s download speed BEFORE compression. 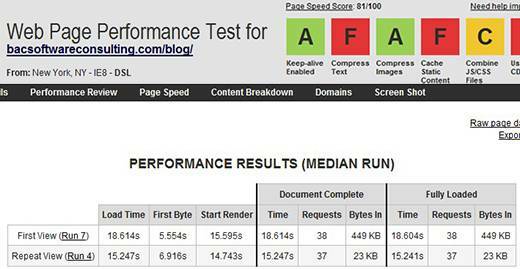 WebPagetest Complete Data – My Blog´s download speed AFTER compression. From the results above, the improvement of this blog´s download time is NOTHING. This is a surprising fact that compression did not make any difference for this blog´ download speed even though the blog´s score has slightly improved in Yahoo! YSlow and Google Page Speed. I am sure that results for other Websites will probably make much bigger of a difference. I will leave that up to you sharing your experience in the comment section. The fact remains that sometimes HTTP Compression will NOT improve performance. ALL images in this Blog have been optimized using mostly the Image Optimizer tool. For very few images I used the Smush.It tool. The size of most of the images are already reduced by about 80%, very few of them are reduced by about 30%. Image optimization is an important factor in improving Website load time. You probably noticed that my Blog is slow; I will discuss how to dramatically speed up the download time, for better user experience, in my next article. I really like your article. Well done. Thanks! 54 queries in 0.486 seconds.